Under the commonly used geographic definition, the border between Asia and Europe stretches along the Ural Mountains, Ural River, and Caspian Sea in the east, the Greater Caucasus range and the Black Sea, with its outlets, the Bosphorus and Dardanelles, in the south. Based on that division, transcontinental states Azerbaijan, Georgia, Kazakhstan, Russia, and Turkey have territory both in Europe and Asia. The island of Cyprus in Western Asia is proximate to Anatolia (or Asia Minor), but often considered part of Europe and is a current member of the European Union (EU). Armenia is also entirely in Western Asia but is a member of certain European organisations. Although the Mediterranean Sea provides a clearer divide between Africa and Europe, some traditionally European islands such as Malta, Sicily, Pantelleria and the Pelagian Islands are located on the African continental plate. The island of Iceland is part of the Mid-Atlantic Ridge, straddling the Eurasian Plate and the North American Plate. Some territories geographically outside Europe have strong connections with European states. Greenland has socio-political connections with Europe and is part of the Kingdom of Denmark, but closer to the continent of North America and usually grouped with it. Sometimes Israel is considered as part of geopolitical Europe as well. Other territories are part of European countries but are geographically located in other continents, such as the French overseas departments, the Spanish cities of Ceuta and Melilla on the coast of Africa, and the Dutch Caribbean territories of Bonaire, Saba and Sint Eustatius. A sovereign state is a political association with effective sovereignty over a population for whom it makes decisions in the national interest. According to the Montevideo convention, a state must have a permanent population, a defined territory, a government, and the capacity to enter into relations with other states. There are 50 internationally recognised sovereign states with territory located within the common definition of Europe and/or membership in international European organisations, of which 44 have their capital city within Europe. All are either member or observer states of the United Nations (UN), and all except Belarus, Kazakhstan and Vatican City are members of the Council of Europe. 28 of these countries have also been member states of the EU since 2013, which means they are highly integrated with each other and share their sovereignty with EU institutions. Each entry in the list below has a map of its location in Europe. Territory in Europe is shown in dark-green; territory not geographically in Europe is shown in a lighter shade of green. The lightest shade of green represents states in the EU and is shown on the maps of all territories within the EU. The following state, although not a member or observer of the UN, has, since declaring independence, achieved a considerable percentage of diplomatic recognitions (although slightly below the threshold of wide recognition) and exercises tangible control of most of its claimed territory. In addition, it has been accepted for membership in several international organisations, including two UN agencies, and it currently is seeking EU membership. The following five entities in Europe have partial diplomatic recognition by one or more UN member states (and therefore are defined as states by the constitutive theory of statehood) or have no diplomatic recognition by any UN member state but are defined as states by the declarative theory of statehood and are recognised by one or more non-UN member states due to disputes of their sovereignties. None are members of the UN, Council of Europe or EU. The following six European entities are dependent territories. The following places are considered integral parts of their controlling state, but have a political arrangement which was decided through an international agreement. ^ a b c d e f Area and population numbers include integral areas located outside of Europe. The area and population of states with separatist regions includes that of the separatist regions. ^ a b c d e f Part of the Transcaucasian Region, at the crossroads of Europe and Asia. Physiographically, Armenia falls entirely in Western Asia, while Georgia and Azerbaijan are mostly in Asia with small portions north of the Caucasus Mountains divide in Europe. ^ a b c The island of Cyprus is located on the Cyprian arc on the edge of the Anatolian Plate and is physiographically associated with Asia, but it is part of European organisations such as the EU. ^ The terms Republic of Ireland and Poblacht na hÉireann are not official long names and are used only as a legal description meant to differentiate the state from the island. 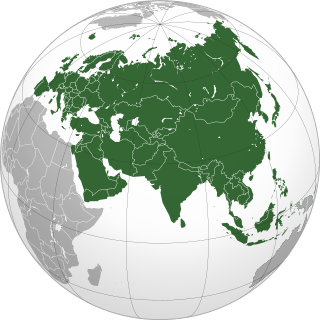 ^ a b c Kazakhstan, Russia and Turkey have territory in both Europe (dark green) and Asia (light green). ^ a b Denmark and the Netherlands are constituent countries of the Kingdom of Denmark and the Kingdom of the Netherlands respectively. Both are members of the EU; however, the other constituent countries of their kingdoms are not. In international organisations, the terms Denmark and the Netherlands are often used as short names for their respective kingdoms as a whole. ^ The Netherlands is also known as "Holland", but this name properly refers only to a region of the country. See Netherlands (terminology). 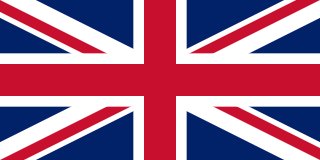 ^ a b c d The United Kingdom consists of the countries of England, Northern Ireland, Scotland and Wales. The UK is responsible for the foreign relations and ultimate good governance of the Crown dependencies of Guernsey, the Isle of Man and Jersey, which are otherwise separate. England, Scotland and Wales make up the island of Great Britain (or simply Britain), which is sometimes used synonymously with the United Kingdom. ^ a b c d e f EU candidate country. ^ A simpler official short name has been encouraged by the Czech government, "Czechia". By 2017, this variant remains uncommon. Nevertheless, this term has been adopted by several companies and organisations, including Google Maps, instead of the term "Czech Republic". See Name of the Czech Republic. ^ Charles T. Evans (2009-07-01). "Ural Mountains". Novaonline.nvcc.edu. Retrieved 2011-02-17. ^ "The Ural River". Geography.howstuffworks.com. 2008-03-30. Retrieved 2011-02-17. ^ Charles T. Evans (2009-07-01). "Caucasus Mountains". Novaonline.nvcc.edu. Retrieved 2011-02-17. ^ Charles T. Evans (2009-07-01). "Black Sea". Novaonline.nvcc.edu. Retrieved 2011-02-17. ^ a b Microsoft Encarta Online Encyclopaedia 2007. Europe. Archived from the original on 31 October 2009. Retrieved 2007-12-27. ^ "Council of Europe in Brief". Coe.int. Archived from the original on 22 July 2011. Retrieved 17 February 2011. ^ "Geological Development of the Sicilian-Tunisian Platform held in Italy (University of Urbino) on November 4, 5, 6, 1992". Oai.dtic.mil. 1992-11-06. Retrieved 2011-02-17. ^ "Understanding plate motions [This Dynamic Earth, USGS]". Pubs.usgs.gov. 1994-06-09. Retrieved 2011-03-03. ^ "CIA - The World Factbook". Cia.gov. Retrieved 2011-02-17. ^ Richard Connor (2010-01-11). "French overseas territories vote to remain close to Paris". Dw-world.de. Retrieved 2011-02-17. ^ "Regions and territories: Ceuta, Melilla". BBC News. 2010-10-06. Retrieved 2011-02-17. ^ a b "Netherlands". Cia.gov. Retrieved 2011-02-17. ^ "Untying the Sovereign State: A Double Reading of the Anarchy Problematique". Mil.sagepub.com. 1988-06-01. Retrieved 2011-02-24. ^ "Montevideo Convention on the Rights and Duties of States - Council on Foreign Relations". Cfr.org. Retrieved 2011-02-24. ^ "United Nations Member States". United Nations. Retrieved 24 February 2011. ^ "47 countries, 1 Europe". Council of Europe. Archived from the original on 19 March 2011. Retrieved 17 February 2011. ^ "Member States". Europa. Retrieved 17 February 2011. ^ a b c d e "Field Listing :: Names". Central Intelligence Agency. Retrieved 30 September 2016. ^ a b "UNGEGN List of Country Names" (PDF). United Nations Statistics Division. 2007. Retrieved 2011-02-24. ^ a b c d e f "List of countries, territories and currencies". Europa. 9 August 2011. Retrieved 10 August 2011. ^ a b c d "Field Listing :: Capital". Central Intelligence Agency. Retrieved 17 February 2011. ^ "UNGEGN World Geographical Names". United Nations Group of Experts on Geographical Names. 13 September 2010. Retrieved 24 February 2011. ^ a b c d "Country Comparison :: Population". Central Intelligence Agency. July 2014. Retrieved 17 October 2014. ^ a b c d e "Field Listing :: Area". Central Intelligence Agency. Retrieved 3 March 2011. ^ "Republic of Ireland Act, 1948". No. 22/1948. 1948. Retrieved 2008-12-16. ^ "Turkey's population hits 79.81 million people, increasing over one million". Hürriyet Daily News. Retrieved 1 February 2017. ^ "Holy See (Vatican City)". Cia.gov. Retrieved 2011-02-24. ^ "Countries that have recognised the Republic of Kosova". Ministry of Foreign Affairs of Kosovo. ^ a b "Tuvalu Retracts Recognition Of Abkhazia, South Ossetia". Radio Free Europe/Radio Liberty. 2014-03-31. ^ "Regions and territories: Abkhazia". BBC News. 2011-02-08. Retrieved 2011-02-17. ^ "Abkhazia (autonomous republic, Georgia)". Britannica.com. Retrieved 2011-03-03. ^ a b Ker-Lindsay, James (2012). The Foreign Policy of Counter Secession: Preventing the Recognition of Contested States. Oxford University Press. p. 53. ...there are three other territories that have unilaterally declared independence and are generally regarded as having met the Montevideo criteria for statehood but have not been recognised by any states: Transnistria, Nagorny Karabakh, and Somaliland. .
^ "Country Overview". nkrusa.org. Retrieved 2011-03-07. ^ "Official website of the President of the Artsakh Republic". President.nkr.am. 2010-01-01. Retrieved 2011-02-17. 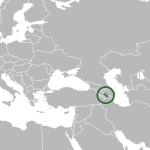 ^ "Nagorno-Karabakh (region, Azerbaijan)". Britannica.com. Retrieved 2011-03-03. ^ "Turkish Cyprus announces population as 294,906". World Bulletin. 2011-12-09. Retrieved 2014-01-09. ^ "Regions and territories: South Ossetia". BBC News. 2011-02-08. Retrieved 2011-02-17. ^ "South Ossetia". Hartford-hwp.com. Retrieved 2011-03-09. ^ "Trans-Dniester profile". BBC News. 2011-01-20. Retrieved 2011-02-17. ^ "Transdniestria (separatist enclave, Moldova)". Britannica.com. Retrieved 2011-03-03. ^ "CIA - The World Factbook - Field Listing :: Dependency status". Cia.gov. 1920-02-09. Retrieved 2011-02-17. ^ Mark Oliver; Sally Bolton; Jon Dennis; Matthew Tempest (2004-08-04). "Gibraltar; Politics". Guardian. Retrieved 2011-02-17. ^ Supreme Court decision "The Channel Islands, like the Isle of Man (although it has a rather different history), are not part of the United Kingdom. Nor have they ever been British colonies, or British Overseas Territories as the few remaining colonies are now termed. They are Crown Dependencies, enjoying a unique relationship with the United Kingdom and the rest of the British Commonwealth through the Crown, in the person of the Sovereign." ^ European Commission for Democracy through Law (1996). Local self-government, territorial integrity, and protection of minorities: proceedings of the UniDem Seminar organised in Lausanne on 25–27 April 1996, in co-operation with the Swiss Institute of Comparative Law. Strasbourg: Council of Europe. pp. 32–35. ISBN 92-871-3173-2. ^ "Independence". Visitaland.com. Retrieved 2011-03-03. ^ a b "Åland Official Tourist Gateway - Facts". Visitaland.com. Archived from the original on 10 February 2011. Retrieved 17 February 2011. ^ "Good Friday Agreement". Encyclopædia Britannica. Retrieved 7 July 2015. ^ a b "The Countries of the UK". Office for National Statistics. Office for National Statistics (United Kingdom). Retrieved 7 July 2015. ^ Northern Ireland Statistics & Research Agency (December 2012). "Census 2011 Key Statistics for Northern Ireland" (PDF). Archived from the original (PDF) on 24 December 2012. Retrieved 14 January 2013. ^ "The Svalbard Treaty". Governor of Svalbard. 2008-04-09. Archived from the original on 4 March 2012. Retrieved 2011-03-03. This is a list of sovereign states and dependent territories in Africa. 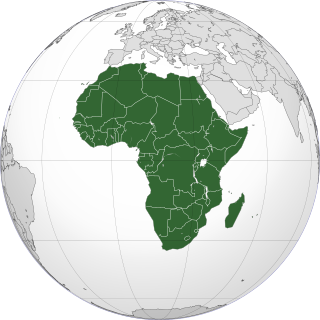 It includes both fully recognized states, states with limited or zero recognition, and dependent territories of both African and non-African states. It lists 54 sovereign states and 10 non-sovereign territories. 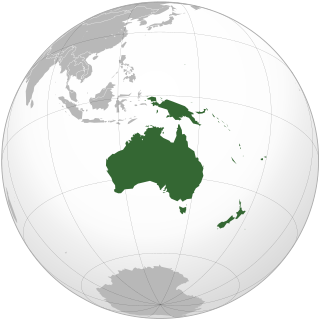 This is a list of sovereign states and dependent territories in Oceania. Although it is mostly ocean and spans many continental plates, Oceania is often listed with the continents. NATO is an international alliance that consists of 29 member states from North America and Europe. It was established at the signing of the North Atlantic Treaty on 4 April 1949. Article Five of the treaty states that if an armed attack occurs against one of the member states, it shall be considered an attack against all members, and other members shall assist the attacked member, with armed forces if necessary.